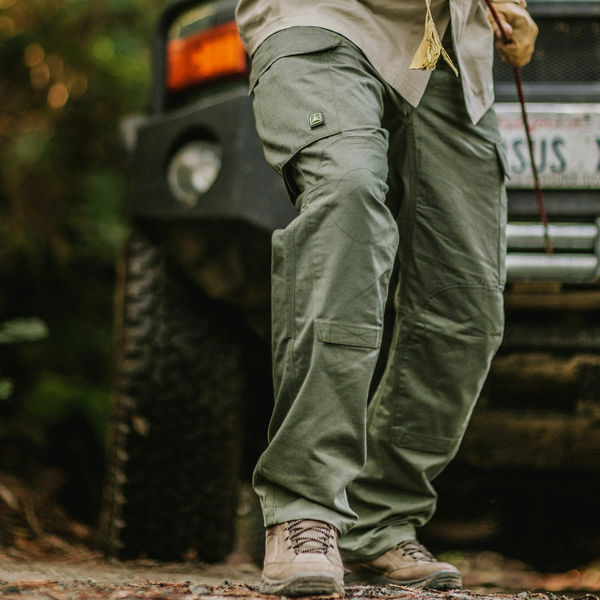 Our Force 10 Cargo Pant design blends overbuilt construction, ample storage, innovative features, and heritage style to take you anywhere and back again. 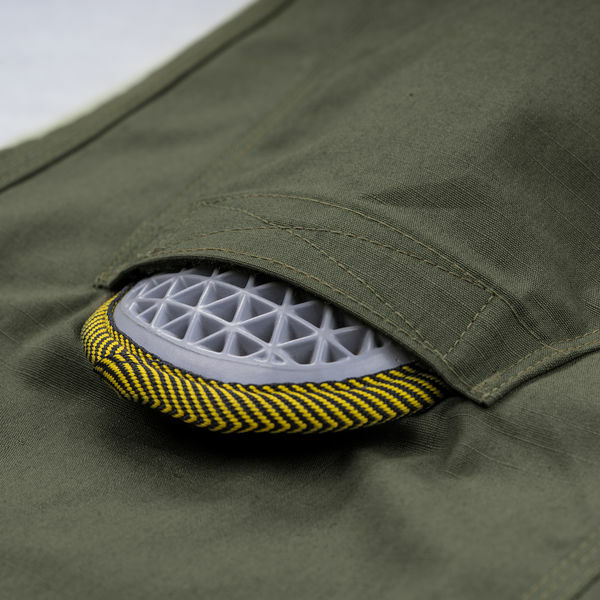 From hidden pockets to D-rings for dummy cording gear, Force 10's continue to set the bar for capability and quality, while still providing inimitable style and comfort. Eight pockets provide ample storage, including two hidden Passport Pockets to hold personal documents discreetly. Internal pocket dividers in the cargo pockets secure spare magazines, radios, flashlights, or other gear. Pass-through slots on the cargo flaps accommodate longer items and provide access to strategically placed D-rings for dummy cording gear. 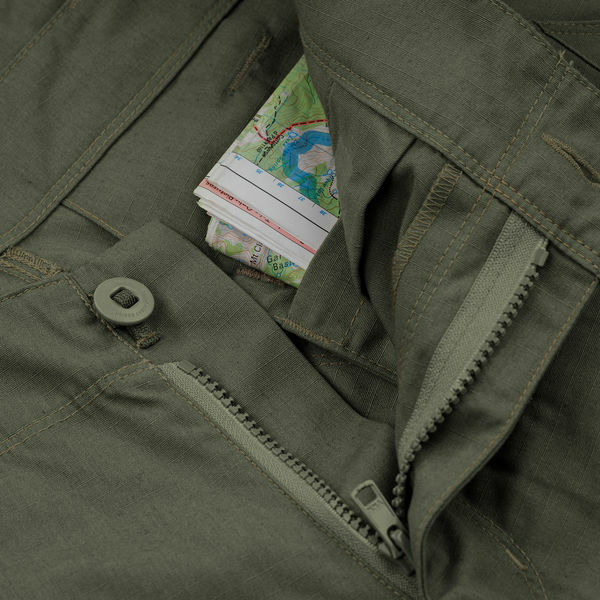 Our Canadian tape style buttons are secured on nylon webbing with bartacks for greater staying power and we include a slotted repair button that quickly slides onto the webbing for easy repair in the field. 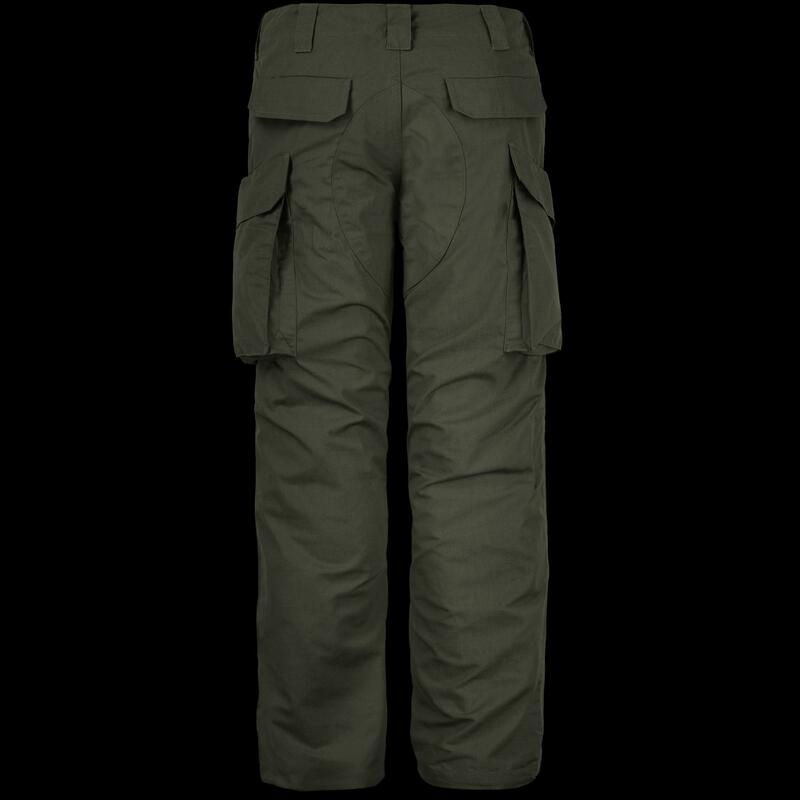 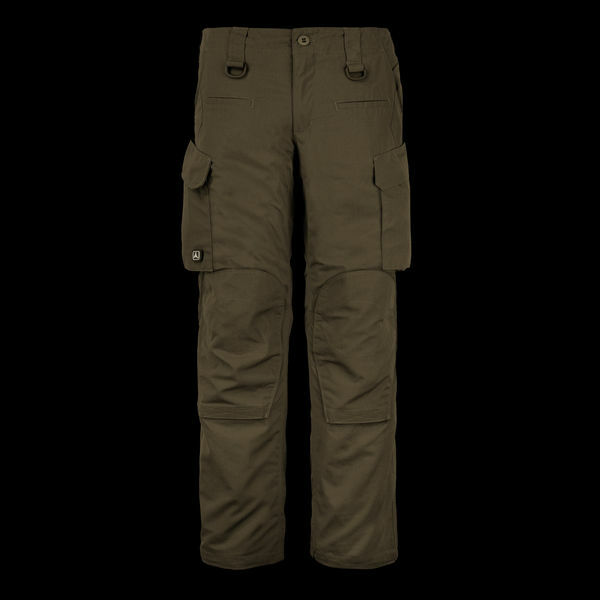 The cargo pockets lay flat creating a streamlined look and incorporate bellowed design allowing for expanded storage space. 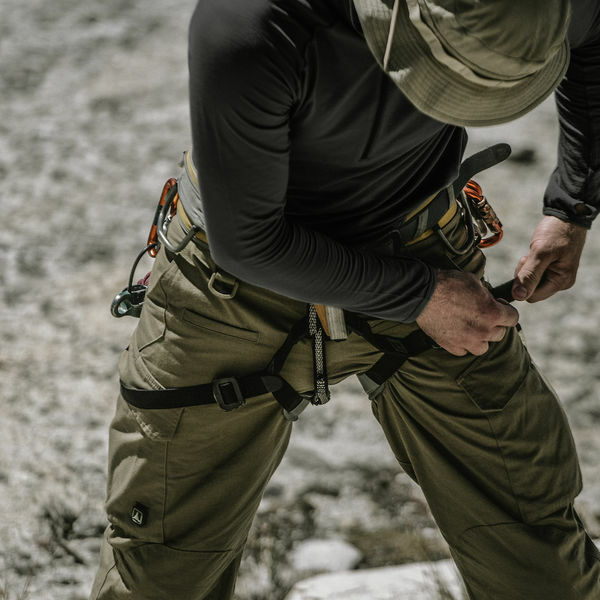 We created a slide-through slot at the top of the pocket to allow for quick and easy access to linear shaped items like a long flashlight or ruler. Inserts at the knees accommodate T-Pro Knee Armor for increased protection and less strain on your body. Our Nylon Cotton (NYCO) Ripstop (RS) material, blends the durability of nylon with the breathability of cotton to strike the perfect balance between comfort and durability. Using a special reinforcing technique, ripstop materials stop small tears from spreading into larger holes. 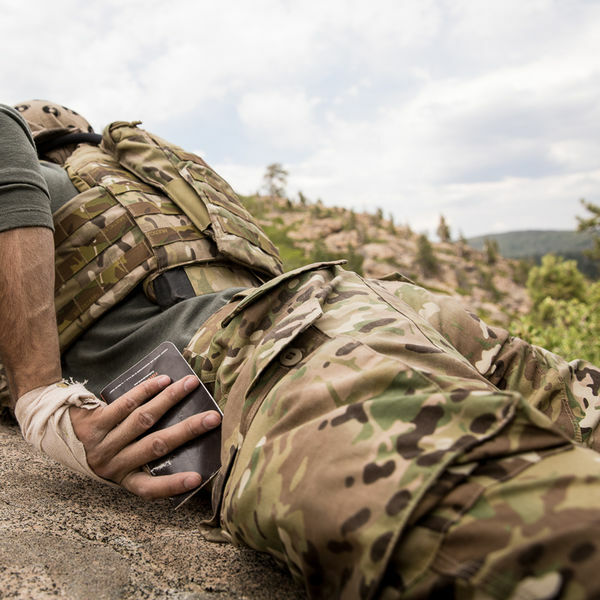 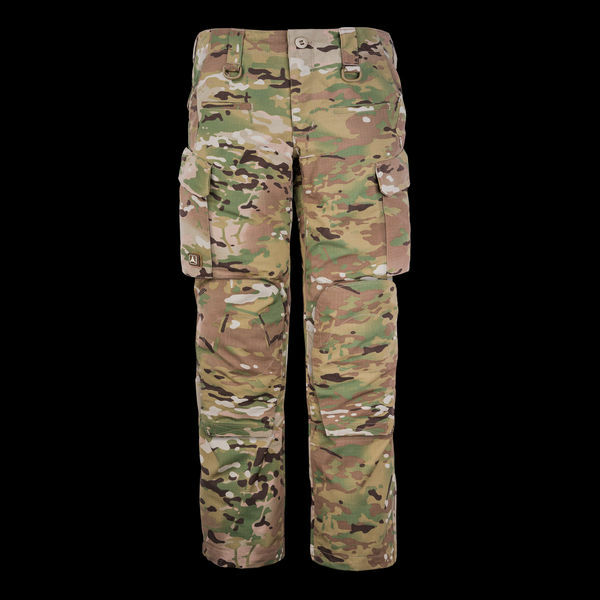 This sturdy fabric is able to withstand long term land-based missions and allows you to move swiftly through rough terrain. 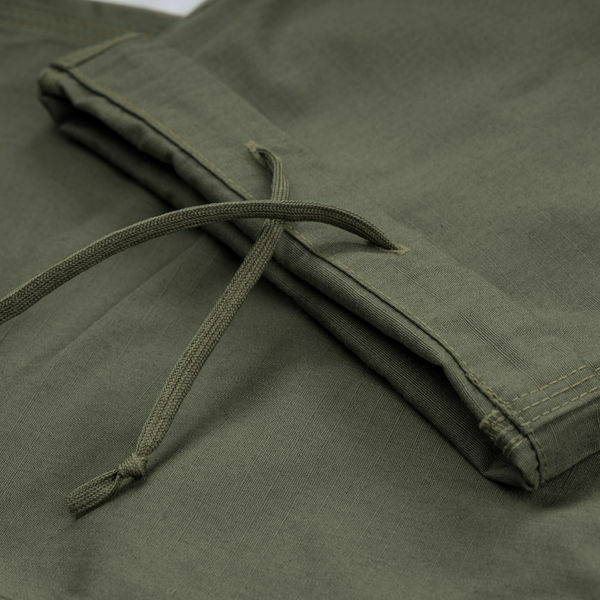 It also features a Durable Water Repellent (DWR) finish to resist precipitation.